Another favourite of mine, and even more so of my grandmother, and a great and fresh variation on tiramisu. This recipe from the Italian chef Aldo Zilli comes from one of my trusted GoodFood magazines which I slightly adapted (less alcohol mainly, Brits have a tendency to drown stuff in alcohol). Not only does it look great, it really tasted absolutely delicious too! This recipe serves about 8 people. If you can’t find raspberries, you can use whatever other berries that are around. You only need egg yolks in the recipe, but there is no need to throw away the whites: you can easily freeze them for later. Just defrost them before use (for when you crave some meringue or macaroons). In another bowl, beat 284 ml pot double cream, 500 g mascarpone and 2 tbsp vanilla extract until combined. Fold or gently whisk this mixture into the creamy yolks (or vice versa, just put them together in the biggest of the two bowls). 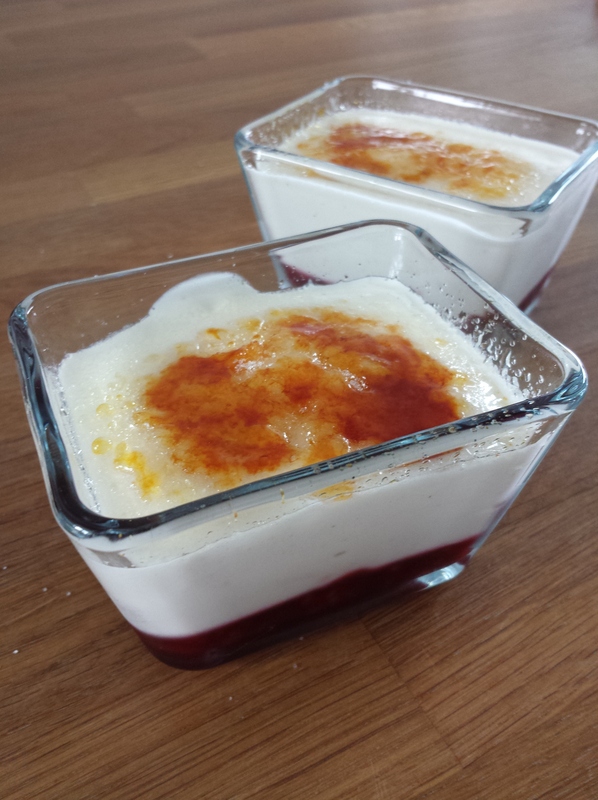 Combine 100 ml freshly squeezed orange juice (I’m sure from a bottle will work just as well) with 50 ml Grand Marnier, then dip in half of 24 sponge fingers or ladyfingers (just buy a pack) and arrange them over the bottom of a serving dish. 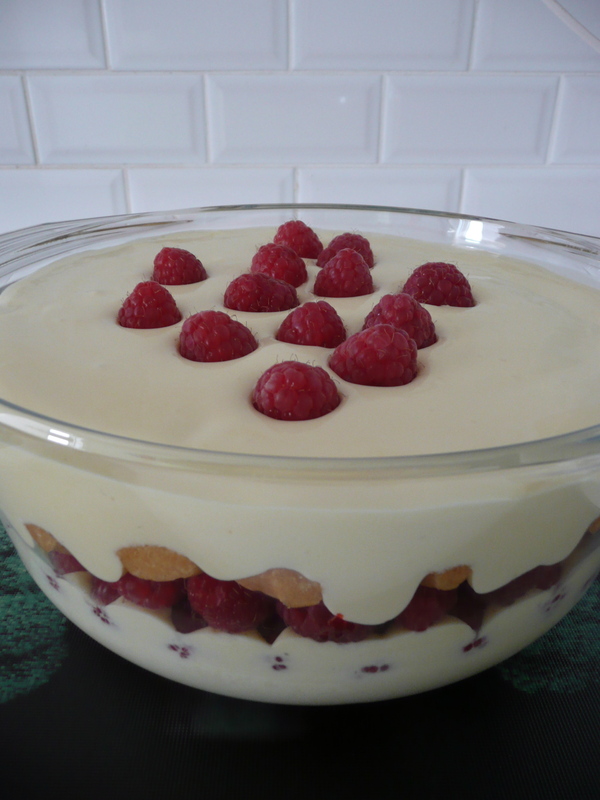 Pour over half the creamy mixture, then top with 350 g raspberries (save a couple for the decoration). Add a second layer of dipped cookies and the rest of the mixture and finish by dotting over the remaining raspberries. Cover and chill for 2 hours or overnight. And check on it every now and then, because last time I made a batch for my grandparents, my grandmother was spotted with a small spoon already secretly tasting it in between courses before it made it’s way to the table! Enjoy!